I have upgraded my site with a new Site Builder. Much better than the old one. So now I can finally updated my pages and add new games. Lots of new games based on The Hobbit movie, and new Lord of the Rings games such as WizKids - The Lord of the Rings: Nazgul (2012). So welcome to my new upgradable site. And please contact me if you need anything. Welcome to David and Mike's (only managed by David now) and Tolkien Boardgame website. This website is for those who collect Tolkien Boardgames or have an interest in playing Tolkien games. We hope you enjoy the hard work the two of us have put into researching and finding all of the known Tolkien Games. Check out the Chronology listing below, or check the Alphabetized list on the left for the Tolkien game you are looking for. If you have any questions, don't hesitate to ask. With the release of the new Hobbit movies, game publishers are coming out with a whole new set of games, or expansions to the old games. I will try to update the information I have and bring you any news of any new game developments. If anyone has any information on any Tolkien game world wide, I would love to hear from you. Serving the public since April 2003. Most of the games listed are boardgames, but we have also listed other types like miniature wargaming, collectable card games, a few computer games, Role Playing Games, and others. This site has turned into a Tolkien Game website, but our interest is mostly boardgaming. WE might even dabble in creating a game or two of our own. We will let you know about that when, and if, the time comes. Always check out our What's New page first. I am always trying to add new content. It just takes time. So come on in and take a peak of what I have been able to put together. Of course, if you see any omissions or mistakes, please let us know. If you have a review for a game or some additional information, send it in and I will post it. Check out our What's New Page for what's new. So welcome to our site. All you have to do is "Speak Friend and enter". I am constantly working on the site to get all the information I have out to you. I have collected a lot of information, I just need the time to post it. Occasionally, this site locks down and is difficult to get in, but Freeweb usually gets it working again within a day, so just check back. If one of the Chronology links doesn't work, try the Alphabetical links on the left. Those are the original links. 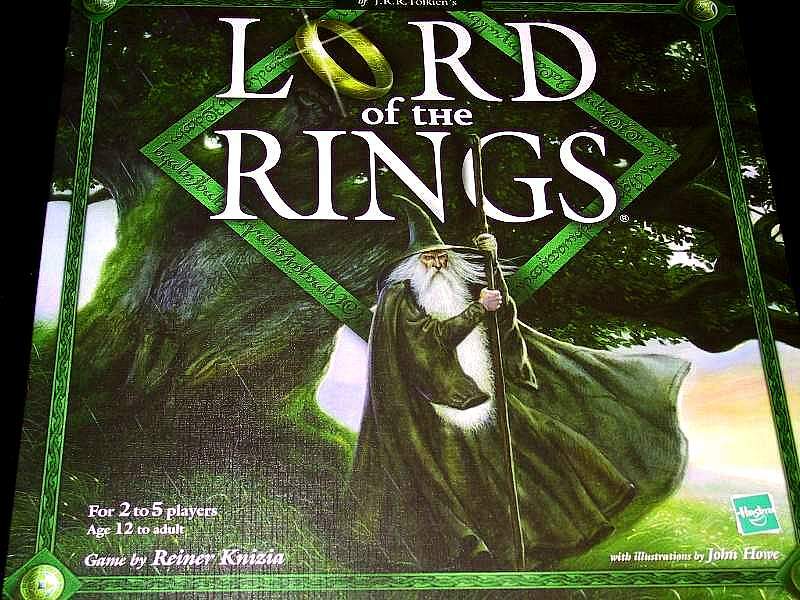 Below is a Chronology of all Tolkien boardgames ever published, that we can find. Click on the names of the games to go to their respective pages. If you know of a game that is not on the list, please contact us. ----None found at this time. If anyone has heard of one for 2008, please let me know. ----Middle-Earth Quest - (Fantasy Flight Games) I don't have a month at the moment. Anyone hear of any new games? I am always adding to the list.